It isn’t enough for your organization to fire “press releases” out through the various public relations wire services and expect them to magically connect with journalists (was it ever?). Media relations requires much more than that. Journalists – and bloggers – are bombarded with tons of useless releases and resent the expectation that because you sent it, they should use it. Media relations means taking the time to understand a reporter’s (or blogger’s) “beat,” and offering unique ways to tell your organization’s story. The goal is developing mutually beneficial relationships. As a former reporter, editor, and corporate media relations manager, D. Chris Turner can help. 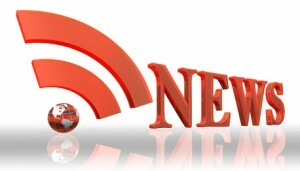 News release authoring – Did you know the term “press release” is so passé? It is, because so many more people read the release beyond the press. A strong news release that is keyword rich can live on your organization’s Website and develop a life of its own. Strategically disseminated through online services, it can be read by millions of people. I can write keyword rich news and feature releases, make recommendations for distribution methods and distribute those releases through various channels. Media relating – Don’t call it pitching because it sounds like trying to slip one past someone. Instead, why not work to build relationships with the people (social and traditional media representatives) who will most benefit your organization? I then work with them to connect your news and information to opportunities that tell your story. This may include placing your spokespeople in stories journalists are working on and position your organization as a go-to organization for quick and reliable information. Social media monitoring – Do you know what others are saying about you or your organization? If you don’t, you are setting yourself up for a disaster. I use a number of tools to monitor who is saying what about your company, keep you informed and identify which are potentially crises-in-the-making and can offer recommendations on if you should respond – and how – to help you protect your organization’s brand reputation.